Art Director / Designer / Architect / Representative Director of Liqdo Inc.
2009 Changed its name to Liqdo Inc. 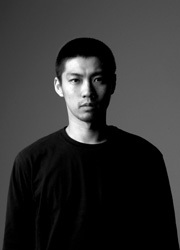 Architect / Director of Liqdo Inc.
Liqdo is a design firm founded in 2009, established by Hiroki Matsuura, and implements creative solutions across every medium from architectural design, interior design, product design, and graphic design. Its portfolio includes retail spaces, restaurant and bars, salons, office showrooms, as well as housing and dwellings. Copyright © 2009-2014 Liqdo Inc. All rights reserved.